Neelam Kothari was born on 9th November 1969 into a Gujarati family in Hong Kong. She spent most of her childhood days in Hong Kong and Bangkok and learnt to play keyboard & Ballet dance. When she was holidaying in Mumbai film director Ramesh Behl offered her a role in his film Jawaani in 1984, which she reluctantly accepted. She took films seriously and delivered blockbuster hits like Ilzaam Love 86, Khudgarz, Hatya, Taaqatwar, Do Qaidi etc all co-starring Govinda. Her 1989 film Ghar Ka Chiraag co-starring Rajesh Khanna was a mega hit at box office. At present she rarely appears in vital supporting roles. Apart from films she also appeared in video albums like Bina Mistry’s Hot Hot Hot which was a huge hit. Inspired by her family works she studied jewellery designing in Mumbai institution and established her own brand name called “Neelam Jewels”, she has a showroom in Mumbai since 2004. 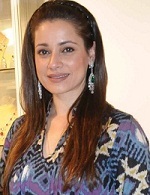 In 2011 she opened another jewellery store in Mumbai named “Neelam Kothari Fine Jewels”. 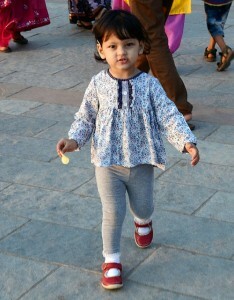 After dating actor Samir Soni for years the couple got married on 24th January 2011, the couple adopted a baby girl named her Ahana on 2nd September 2013. 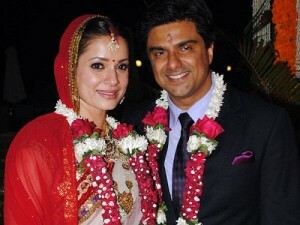 She was married to Rishi Sethia, a businessman from U.K in 2002 but it was short lived due to misunderstandings. Her father was a popular traditional jewellery designer and her mother Parveen Kothari assisted him in his business.